See here for basic rules on problem. 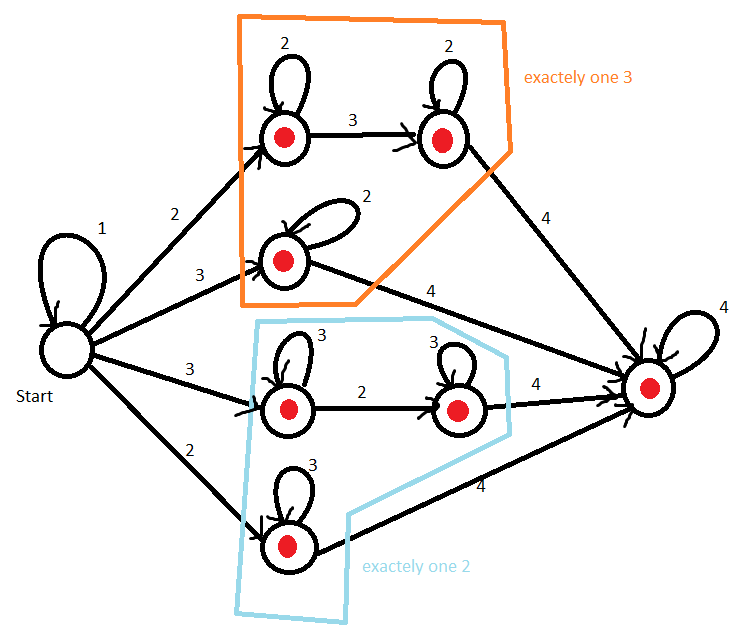 Make an optimal machine that accepts sequences of integer digits 1-4 such that all 1s are at the beginning and all 4s are at the end. Also there has to be exactly one of either the 2 or the 3 with any number of the other in each sequence. There doesn't have to be any 1s or 4s. 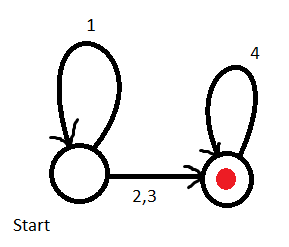 You do not need a route for failed sequences. My answer uses 6 nodes. I forgot to mark the left-most node as the start node, but that should be obvious. 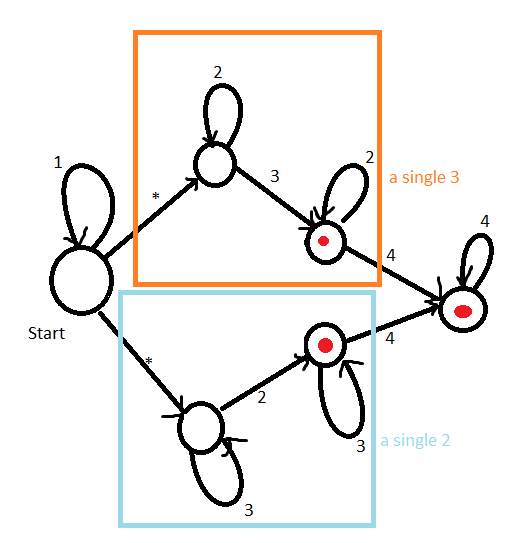 One branch produces one 2 with any number of 3s on either side. 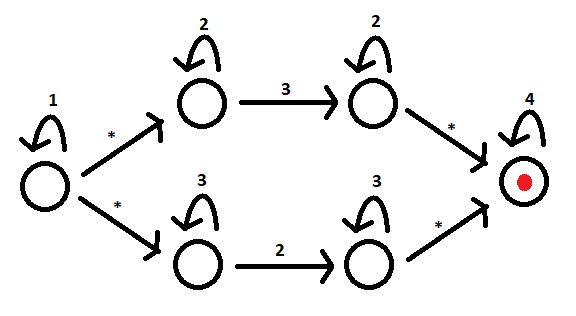 The other branch does the same for one 3 with any number of 2s either side. pre edit: "Also there has to be exactly one of either the 2 or the 3." post edit: "Also there has to be exactly one of either the 2 or the 3 with any number of the other in each sequence."